The first Primitive Methodist Church in this district was built on the Mallala (Butler) Station in the late 1850s. Two miles South West of Mallala in an area known as Feltwell, a Primitive Methodist chapel was built with the Feltwell Cemetery adjacent. 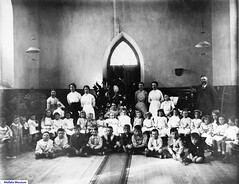 The Chapel was also used as a school and was in operation from at least 1869. A third Primitive Methodist church was built in the township of Mallala, and was opened in November 1874 to accommodate the needs of the people living in or near the town, as the Feltwell Chapel was always overcrowded. 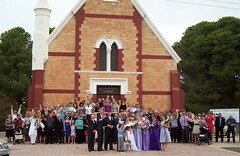 Church union occurred in 1900, and the 1908 Mallala Trust meeting gave the trustees permission to build a Methodist church in the town of Mallala to the cost of 650 pounds. The foundation stone was laid by the Governor, Sir Samuel Bart Way, and the church was opened in July 1909. To-day was a gala day here, on account of the visit of his Excellency the Lieutenant-Governor (Sir Samuel Way) to lay the foundation stone of the Methodist Church. As it was the first visit of a vice regal representative, visitors came from all parts of the district, and the proceedings were of an impressive character. The Rev. J. Dingle received his Excellency, and after luncheon at the manse an official visit was made to the public school. His Excellency was received by the head teacher (Mr T. Nevin) and Messrs H.B. Moody and F. Carter (members of the board of advice). Sir Samuel delivered an address to the pupils and parents on the subject of character-building, and contrasted the methods of teaching and school life of the present with what prevailed in his own schooldays. At 2.30 p.m. to the accompaniment of the strains of the National Anthem, played by the local band, under the direction of Mr C. E. Lutz, the Lieutenant-Governor proceeded to the site of the new building. 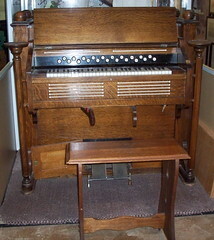 The circuit minister (Rev. J. Dingle) introduced his Excellency, who was then welcomed by Mr G. Marshman (chairman of the district council) on behalf of the towns-people and district, while Dr Dawkins spoke on behalf of the Congregational Church. The President of the Conference (Rev. I. Rooney) then asked his Excellency to lay the foundation stone. Sir Samuel Way, in a stirring address, congratulated the residents upon their prosperity, and drew a vivid picture of the progress which agriculture had made under practical and advanced methods of cultivation. He had been pleased to learn of the loyalty shown by the district in sending several soldiers to South Africa during the Boer war, and had also to express his delight that increased numbers in Methodism had necessitated the construction of a new church. After Sir Samuel had declared the stone well and truly laid, Mr A. Dunstan thanked him on behalf of the church members. The following gentlemen also took part in the ceremony: Revs G. Hall and J. Thorne and Mr. T. Nevin. The new building is being constructed by Mr G. Cheeney, and the architect is the Rev. T.G. White. When completed it will have a most attractive and effective appearance. Its external measurements are to be 48 ft by 30 ft., and the height from the floor to the ridge will be 39 ft.
After the stone had been laid an adjournment was made to the Institute Hall, where about 500 people sat down to tea. In the evening a crowded meeting was presided over by his Excellency. In an interesting address Sir Samuel Way referred to the fertility of the district and the obligations farmers owed to Professor Lowrie for the introduction of superphosphates. But however much material wealth they might accumulate, the true purpose of life was unattained without due recognition of their spiritual obligations. He hoped their generosity would be such that when the new church was opened it would be absolutely free from debt. The other speakers were the Revs. I. Rooney, H. Howard, and T. G. White. Several anthems were excellently rendered by the choir, under the baton of Mr F. Dingle. The Rev. J. Dingle presented a financial statement to the meeting, showing that the collections at the Sunday services, conducted by the president of the Conference, and the total of that day's proceedings amounted to £63. This with the promises and subscriptions already received, brought the total amount received or promised to date up to £435. The total cost of the new church was estimated at £650, exclusive of sand and stone, which the members were generously supplying. Do you remember Foundation of Mallala Methodist Church ? Then Join up and add your memory here.